Jay Rood, MGM Resorts’ VP of Sportsbooks & Racebooks, said in November 2017 that Borgata would build a $7 million sportsbook in Atlantic City. A bill to legalized sports betting at Atlantic City casinos and Monmouth Park Racetrack is on the desk of Gov. Phil Murphy of New Jersey. The New Jersey General Assembly and Senate each passed the legal bookmaker bill unaninously on Thursday. The Assembly voted 73-0 in favor of the sports gambling legalization act, while the New Jersey Senate voted 37-0 to pass the bill. The New Jersey state legislature has been a consistent supporter of the state’s casino and horse racing industries on a bipartisan basis over the past several years. Whether it is online gambling or legal land-based sportsbooks, the legislature has given widespread support to new revenue sources for the state’s gaming niche. Gov. Phil Murphy now has 45 days to sign the bill, if he wishes to make it a law. A spokesman for the governor said the adminstration would do a “thorough review” of the bill. Phil Murphy himself suggested the process would not take long. In an interview with CBS Radio on Thursday morning, Murphy said a decision would come “sooner rather than later”. All indications are that the governor will sign the bill. As soon as the bill is signed, Monmouth Park and Borgata Atlantic City have said they are ready to open a sportsbook. Monmouth Park’s decision to open a William Hill-branded sportsbook in October 2014 is what led to the fateful lawsuit by the American pro sports leagues and the NCAA which went before the US Supreme Court. The court eventually voted 6-3 to strike down the PASPA federal ban on sportsbooks in 46 states. 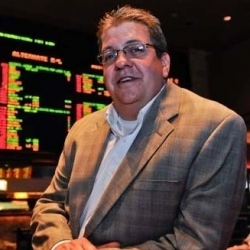 In late-March at the Sports Betting USA Conference in New York City, MGM Vice President of Race & Sports Jay Rood said his company planned to build a $7 million sportsbook operation at Borgata in Atlantic City. For years, Borgata has been the Atlantic City casino with the highest revenues in its land-based gaming operation. The MGM Resorts-owned casino wants to be the first sportsbook operation in Atlantic City. Like Borgata, the Resorts Casino/DraftKings combination plans to open “on day one”, according to DraftKings co-founder Matt Kalish’s Twitter page. DraftKings still has to secure a New Jersey gaming license from the Division of Gaming Enforcement, though that appears to be a mere formality. Resorts Casino has a history of deft business partnerships, as its online poker site is operated by PokerStars, the world’s largest online cardroom. DraftKings has not been involved in sports betting to this point, but is instead a daily fantasy sports operator. At the same time, DraftKings brings a database of 10 million Americans who engage in DFS contests — a hobby which has stark similarities to sports betting. The marketing possibilities are obvious. Ocean Resort Casino, which is the successor to the ill-fated Revel Casino, plans to open a sportsbook this summer. Ocean Resort Casino, owned by Colorado-based hotel developer Bruce Deifik, is partnering with William Hill on the Ocean Resort sportsbook. William Hill should be a major player in the New Jersey sports betting industry. In Nevada, William Hill manages nearly 75% of the sportsbooks in the state. Others are scrambling to get into the lucrative sports betting industry. Recently, Paddy Power-Betfair bought out FanDuel, the other major daily fantasy sports operation in the United States. Paddy Power is a successful Irish sportsbook which merged with Betfair, a successful British sports betting exchange, in 2015. FanDuel is based in New York City, though it was founded by Nigel Eccles of Scotland with a loan from the Scottish government. Paddy Power-Betfair should bring world-class bookmaker services, while FanDuel brings a database with 6 million American daily fantasy sports competitors. On May 31, Sportech and Sportradar announced a partnership to bring “sports betting solutions” to American bookmaker operations. Sportradar is the world leader in sports data collation. It supplies data to many European and American sports leagues. Sportech is a more traditional international betting technology supplier to over 90 different sportsbooks. It supplies pre-match sports wagers, in-play betting services, handicapping content, risk management services, and trading tools to those operations.